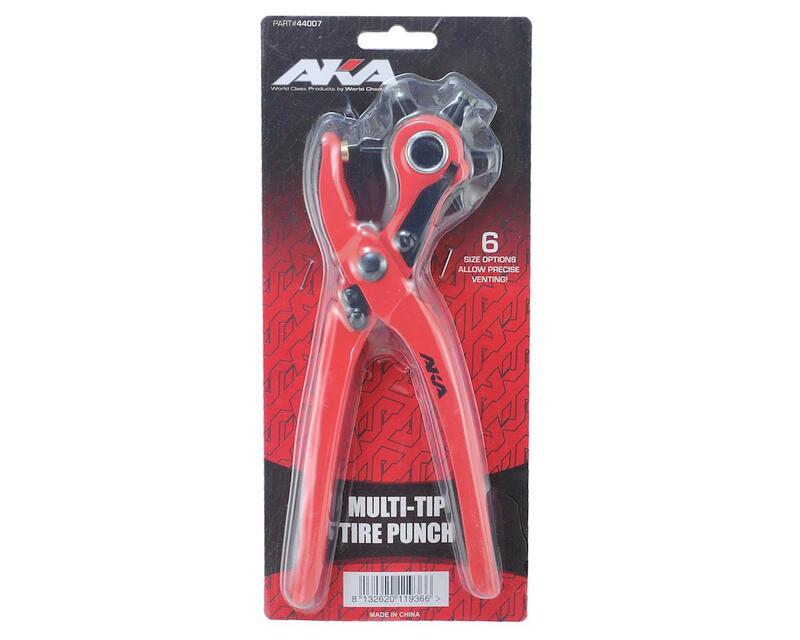 This is the AKA Multi-Tip Tire Punch. The AKA Multi-Tip Tire Punch features 6 laser etched, forged steel tips from 2mm - 4.5mm that work perfect for punching tire vent holes from 1:10 all the way to 1:5 scale. 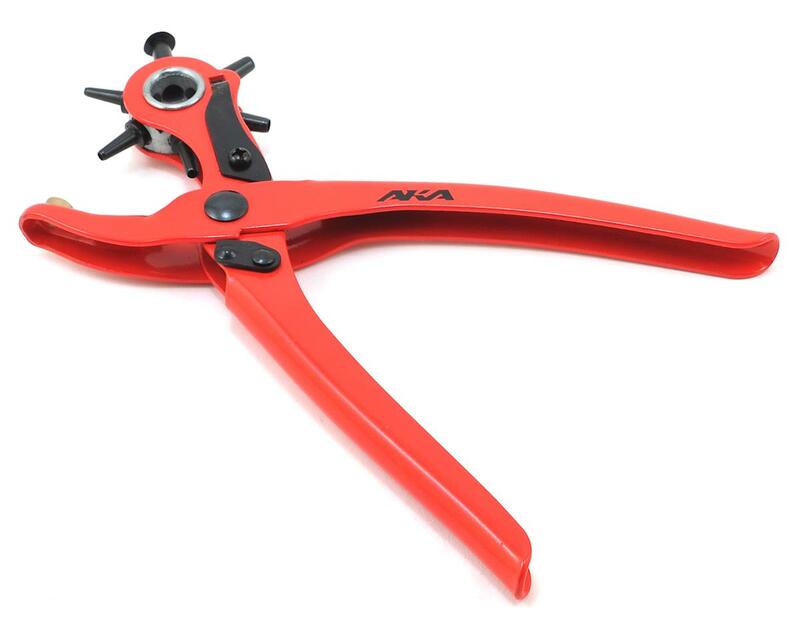 The steel handle construction can take quite a bit of abuse in your bag and keep on punching while the rubber grip will keep your hand comfortable for those long tire mounting session.